November 2011 – "Where we're going, we don't need roads." The Washington Capitals are a mess. There’s no other way to put it. And Bruce Boudreau lost control of this team. It was clear in his last few days as coach of the Capitals that he was on borrowed time. But, in that same vein, he should have been fired last spring, after the Capitals’ fourth premature playoff exit in as many years. The fact that he decide to choose this season to make changes to the culture of the team – four years and six days into his tenure – is akin to grasping at straws. His post-game quotes after Saturday’s 5-1 loss to Buffalo might have been the beginning of rock-bottom. Or further proof of it. Boudreau, whose job security has been doubted with each stage of Washington’s struggles, was asked how a team finds its mettle. Because it was evident he had lost this team, and even more evident that he lost the man who is supposed to be his leader. Alex Ovechkin was minus-four Saturday night against Buffalo. He has scored one goal at the Verizon Center this season. He berated his coach with a few words and actions on national television. 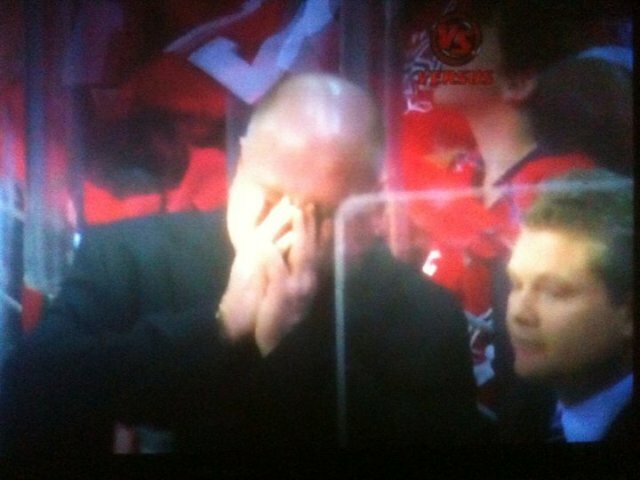 There was clearly a discord between Ovechkin and Boudreau. If it wasn’t evident by now, then you’re just walking around wearing blinders. That’s not to say the Washington Capitals aren’t culpable, either. The most glaring mistake the organization made in leading to this tailspin? Making Ovechkin the captain, when it clearly should have been either Brooks Laich or Mike Knuble – players known for their candor, for their roles both on the ice and in the locker room among their peers and, most importantly, for their heart. And if you hadn’t figured this out by now … Boudreau doesn’t get much respect from his peers – and I can tell you that’s a fact. With today’s hiring of Dale Hunter, expect that to change. Anticipate a chippier – maybe even a nastier – style of play, in which the players won’t cave and will play with a defined edge. Those were hallmarks of Hunter’s playing career in Washington. Which leads to my next point – the player-turned-coach is becoming en vogue, and Washington’s hiring of Dale Hunter is another benchmark of that trend. There’s a different psychology to NHL players nowadays as opposed to 15 or 20 years ago. There’s more of a need for sympathy and empathy, and I mean that in a totally non-flowers/lollipops/rainbows kind of way. It serves Washington to pick up a younger, smarter, savvier coach, one who knows – to a certain degree – what his players are going through and how to connect with them, though while maintaining a certain amount of professional space. Think along the lines of Kevin Dineen, Dan Bylsma, or Dave Tippett. And now that Dale Hunter has the chance to take over in D.C., he has the chance to take control – and the challenge of cleaning up that mess. During the last days of my trip to Maryland and Pennsylvania, I got an unsettling email – another journo friend of mine had gotten the pink slip. At the time of his layoff, he was covering one of the Big 4 sports and, just as importantly, was/is a journo who embraced technology and social media on his beat and used it not only as a way to break news but to connect with his paper’s readers and to build a following as a multimedia reporter, not just a newspaper reporter. I’m not clear on the methodology that each newspaper or company uses to determine who stays and who goes. The protocol at my former newspaper, per the union contract: the person with the least seniority is the first to go. That was me, with only 7 1/2 years at the paper. But I can’t speak for other newspapers, and this isn’t any sort of indictment against labor unions. However, it bothers me that relative youngsters being told to clean out their desks and that their services are no longer needed by their news outlets. We’re not just salary dumps or numbers in your books. The relative youngsters are some of the ones who are willing to embrace and adapt to and even introduce new ideas and technologies. They bring a fresh perspective and, hopefully at the same time, enough experience to contribute and to reinforce that perspective. And they – including me – are being let go. I have a personal stake in what I’m about to say, and I hate to say it, especially given the role that newspapers have played in the history of our society and in each community. But newspapers are further mortgaging their futures by letting the youngsters go. There is something good about going out and having a fun time, and meeting new people – you are surrounded by people who are like you and who are different than you, you are introduced to new ideas and you are forced to dialogue. And I mean “forced” in a totally good way. We need to communicate with each other. We, as a society, need a way to engage with each other instead of looking down at our phones and reading texts. Our society and our economy, collectively, are in a bad place right now. And I really believe it’s up to individuals, collectively, to rally and do something about it. We may be short on cash, but we’ve got a few things to offer each other in our communities – human capital. Which comes from forming, nurturing and even rekindling relationships with people. My friend’s husbands said some pretty prophetic stuff while I was home in the D.C. area last week. Both of my friends are small-business-owners, one is a woman I’ve known since the sixth grade, who is moving forward with her own photography business. We both agreed this – money isn’t easy to come by. But her husband said this: in some ways we have to go back to what people in the colonial times did – barter goods and services in lieu of money. We can’t do it all the time to replace capital, but we can give someone a start by saying hey, if you can do some web work for me, I’ll shoot some photos for you. And we can engage each other’s strengths and skills in doing this. Another husband of a friend of mine recently lamented that we, as individuals, isolate ourselves within our society. We don’t see tribes anymore. We don’t have a group of people surrounding us who can help us out and who can guide us and give us a chance, not just in the bad times but during times of prosperity. You know the whole saying, “It takes a village to raise a child”? Consider it – it’s a symbiotic thing. And why is it that the only way we find out who is truly in our corner is during a crisis? Which leads me to the outing last night, in which I got to see some valued friends and former coworkers, and met some really cool people who granted me the privilege of some great dialogue – and even inspired me to write this post. A consensus was reached: We can use these tools not so much as a means of communication, but as a way to facilitate a more valuable form of social networking – face-to-face communication. And, hopefully, to build relationships. So at the urging of one of my peers, I’m turning to Storify as another means of telling a story. The premise of it is pretty simple – using Storify, a user gathers feedback from various social media outlets to piece together a story. 1. My husband and my family. The most loving, supportive people I know – and, yes, I am biased! 3. My friends. In a crisis, you truly find out who is in your corner. Again, I’m surprised and overwhelmed by the people who help and support me. Likewise, I hope I can do the same for them. 3. Some unexpected time off. It sounds strange to say it after receiving my walking papers and being told I can’t do something I love, but more and more I’m starting to realize that I have an opportunity to take some time off and figure out what I want to do next with my life. That’s not to say I don’t want to get back in the workforce – I get to see what other opportunities are out there. Seriously, I hope everyone reading gets the chance to spend the holiday with the people they love and care about, and find a way to give thanks every day, even when it seems like we, as individuals and as a society, are in some really tough times. Now go enjoy all that turkey and football tomorrow! You’ll find that I quote Kelly Cutrone every so often. The woman is a genius, and an example of street smarts over book smarts. She might not be the smartest publicity chick in the club. Instead, she’s the most resourceful and the most intuitive. 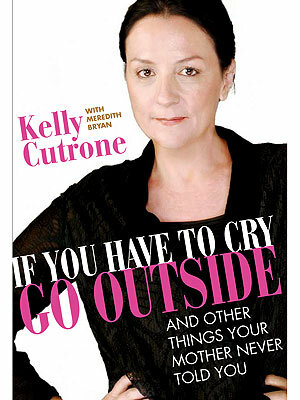 Kelly Cutrone follows her gut, her dreams and the voices in her head and in her tribe that tell her which way to go next. Read it. And weep. Tears of joy. I wrote that statement in another entry I posted last week. But in the day and age of digital communication and online connections, the phone is still the best common denominator. Don’t be afraid to pick up the phone and call someone. Cold-call someone. Here are two rhetorical questions: How many emails do you send each day? And how many do you receive and actually read? Email is not a primary form of communication. It is a way to follow up on a conversation, to document it. When I hustle, I HATE sending e-mails. I want to talk to someone to know they’re getting the message I’m sending. For every acceptance I’ve gotten, I get at least five rejections. No, wait. I get at least ten rejections. But for each “yes,” each “maybe” or even each “let’s stay in touch,” it is a byproduct of reaching out to people. I wrote earlier about the sports editor who told me how his staff watched webcasts and called it reporting, but let me write about the ones who took the time to talk on the phone – or at least appreciate hearing a person’s voice and respond to a voice mail. The same day I called that editor a few states over, I called a newspaper just down the road and the sports editor picked up after three rings. I explained who I was, that I was a freelance reporter and I offered to cover any events here for him. It was a very positive conversation, and he told me to email information on whatever games that might need covered for his paper. I hung up the phone feeling good, and went to my next call, the sports editor of a major metro in the mid-Atlantic. I left a long message explaining why I was calling – not because I’d applied for a job in his department, but because I was offering to cover a college football game up the road from me. I left my name, phone number, email address and the reason I was calling. Ninety minutes later, the sports editor e-mailed back. The assignment was mine. I think I jumped and screamed and shouted in my kitchen for a good five minutes. Bottom line: There are opportunities out there, it’s up to each of us to chase them down. Most of the time, it starts with picking up the phone. 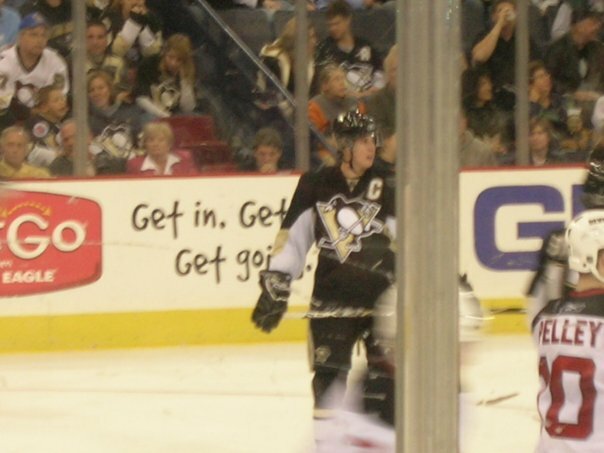 My husband took it on Nov. 12, 2007 – a little more than four years ago – during the pregame skate of the Pittsburgh Penguins’ 3-2 loss to the New Jersey Devils. At that time, the magnitude of Sidney Crosby held a lot of those three words. That weekend, we’d visited Pittsburgh with my parents to see the Steelers face the Browns on a Sunday afternoon at Heinz Field … and my husband surprised me with tickets to the Penguins game the next night. Otherwise, I’d relegated myself to the fact that I was lucky enough to pay $14 for a ticket to see Sidney Crosby play for Rimouski of the QMJHL when the Oceanic played in Lewiston in 2005. And the fact that this new superstar was bringing the Penguins back to prominence. 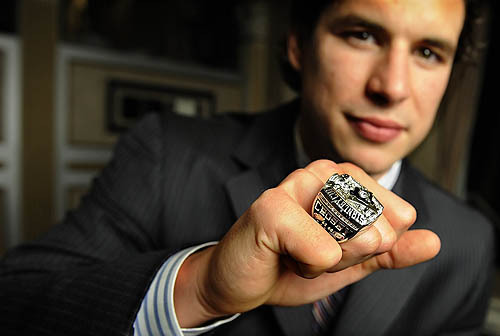 Penguins fans had high expectations, but had no clue what Sidney Crosby would be capable of. They also had no clue what the future held for Crosby and for the Penguins – for better and for worse. Then came the 2011 Winter Classic in December at Heinz Field, and the game against Tampa Bay a few days later, instances that prematurely ended Crosby’s 2010-2011 season, the byproduct of a concussion sustained in one of those two games. His return is a big deal because Crosby not only is one of the most prominent faces of the NHL, but he’s also become a poster boy for concussion awareness, a role that was necessary but one that he unwillingly took on. 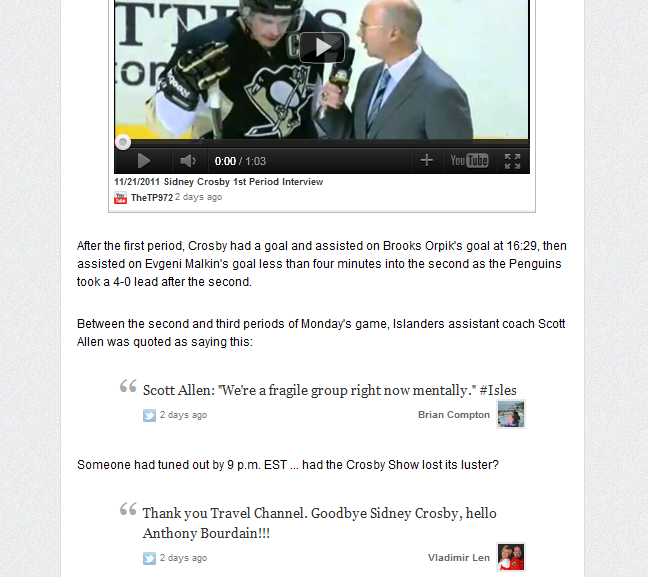 Crosby had no choice other than to be a walking, talking illustration of the effects of trauma to the brain. When you’re told something is a blessing in disguise, you scoff at the notion. In retrospect, most likely it is. Consider what we have learned because of Crosby’s absence. But at the same time it feels as if we – Penguins fans, hockey fans, the NHL, Crosby’s detractors (and there are quite a few of them, if you haven’t noticed), sports in general – have waited too long for this.